The Brexit-related chaos of the past month sent European stocks reeling and made the pound “untradeable” (at least, for a brief time). But traders could have avoided these headaches if they had simply looked past the squabbling to understand a larger truth: Most of the squabbling between May, the Tory Brexiteers and the EU was essentially political theater orchestrated to make a revised Brexit plan where the UK achieves something closer to the “Norway-plus” model politically palatable. And after markets were given their first peek behind the curtain earlier this week after reports that the EU wouldn’t consider a renegotiation until Parliament rejects the deal, Bloomberg has followed up with the latest indication that May’s insistence on her deal being the “best and only” deal on the table was just an example of the prime minister saying what needed to be said. Believing that her deal stood any chance of passing would border on delusional, so any practical tactician – and by all accounts, May is nothing but practical – would, accepting this, pivot toward the next-best thing: doing “everything in their power” to strengthen the UK’s negotiating position to win more favorable terms. And it appears May has done just that. Because, according to Bloomberg, just days after her Brexit plan was “finalized” during a meeting of EU states over the weekend, the prime minister is reportedly ready to public acknowledge a longstanding reality: That, ultimately, Parliament must be allowed to write their own deal if anything is expected to pass. 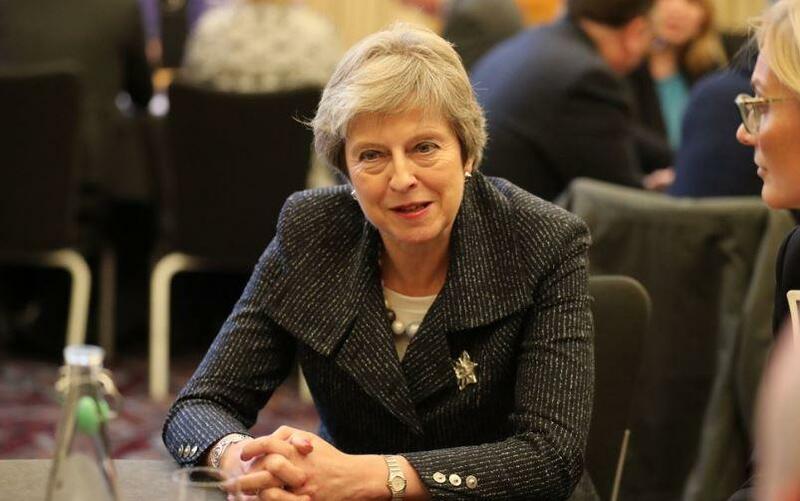 And to that end, May has reportedly dropped her resistance to parliamentary rewrites, and is instead moving toward holding a “meaningful vote”, which would allow Parliament to propose amendments to her deal before voting on which amendments to accept, and which to deny, before approving the revised agreement. “Everyone needs to take their own responsibility,” an EU source said, in an echo of comments recently made by the EU’s chief negotiator, Michel Barnier. The EU is rallying around Jean-Claude Juncker’s insistence that the deal on the table is the “only one possible” given the UK’s decision to leave the single market and customs union. But the objections of the other EU states would likely do little to dampen support for a “pivot” toward a plan that would lay the groundwork for “Norway plus”, an alternative that has been gaining traction in recent days. Under the plan, known as “Norway-plus,” with reference to the Nordic country’s arrangements with the bloc, the UK would also stay in a customs union with the EU. And as if they needed one more reason to oppose the deal, the Financial Times reported Wednesday that May’s own government has forecast that her Brexit plan would shrink the UK’s GDP by 4 percent over the long term. But this forecast is essentially a garnish for Brexiteers’. They already have all the leverage they need to ensure that their preferred deal wins out.